The very first Augmented Reality (AR) app Peel Interactive created was for The Alnwick Garden, in Northumbria. That such a prestigious visitor attraction recently returned to us for a second, further project is testament to our commitment to building long-term relationships with all our clients. We were commissioned by the Duchess of Northumberland to create the first visitor experience for The Alnwick Garden utilising an AR app. The app centred on a 3D interactive and GPS-enabled map, with numerous points around the garden which automatically triggered AR content, ‘bringing to life’ features of the garden, increasing visitor interaction and fun. Available on iOS and Android, the app was designed in line with the garden’s branding to capture its unique identity and present a distinctive user journey. Crucial to the success of this app was ensuring it was fun and engaging whilst maintaining an emphasis on increased access to the garden’s features through ease of use. – An animated introduction presented by The Duchess of Northumberland, giving a personalised feel from the start. – A 3D interactive, GPS-enabled map, showing users where they are in the garden at all times. – Facility to share to social media (Facebook and Twitter). – Interactive games and quizzes plus a ‘just for kids’ section with tailored content. – AR features showed how the garden looked at different times of year, recreated the kitchen garden using actors in a historical scenes and hosted animated 3D and 2D characters within the garden, who popped up to interact with visitors. Many of these features auto-triggered a notification to the user via associated physical markers on the ground. Our more recent project for The Alnwick Garden featured some very special characters, who are definitely larger than life. Using the same triggering technology as the original app, 3D giant animations appear for children and families to hunt down and interact with. There are several featured virtual and physical installations, including a giant squirrel in the iconic treehouse, a giant mouse scurrying out of a giant boot, a talking skull at the gateway to Alnwick’s famous Poison Garden and of course, the ‘giant’ character himself. 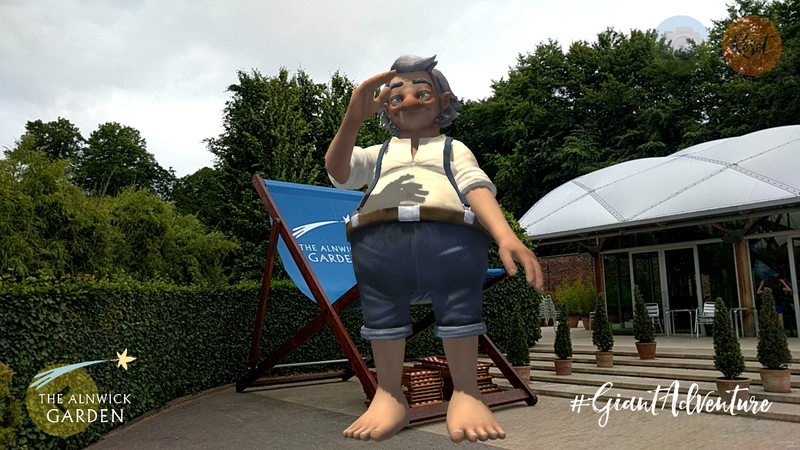 We are very proud of this app and in particular the 3D modelling of the giant. We were supplied with character drawings, from which our 3D modeller built the giant from his toes up. 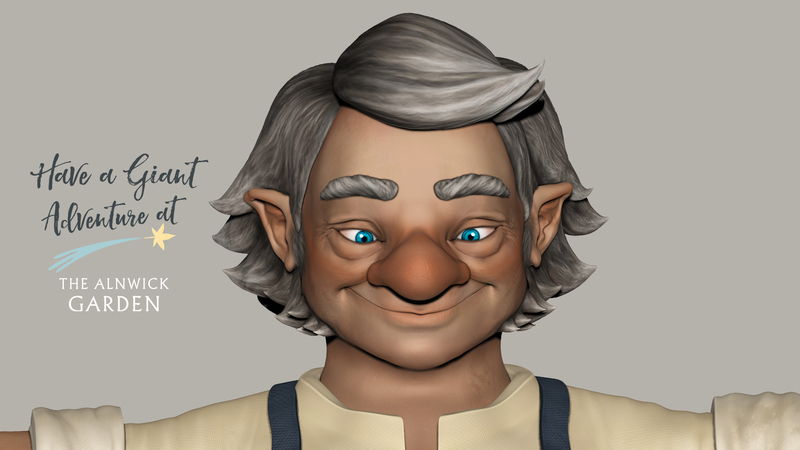 He was then rigged for animation and given a number of life-like facial expressions and movements. As with any project, we test every element of an app, including all of the content. In this case we used a special programme to test how dexterous our giant model was, by putting him through a number of animation sequences. The giant can now do the twist, break dance and even perform a special dance for Halloween. The end result is hilarious and a hit with client and visitors alike. Great content is the key to our app design; content that can be easily changed and adapted to suit the seasons, special events and holidays. We're going to have a lot of fun with this big fella. Check out the video above to see our giant rehearsing his dance moves.